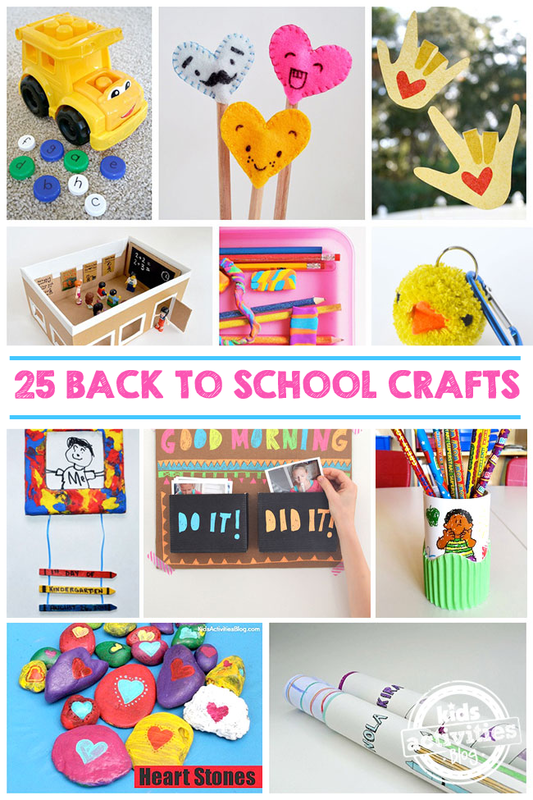 25 Back To School Crafts to Make This School Year Fun! You are here: Home / Fun Activities For Kids (By Age) / Activities For Elementary School Kids / 25 Back To School Crafts To Help You Make This School Year Fun! 25 Back To School Crafts To Help You Make This School Year Fun! This year give your school supplies a fun and colorful twist with these 25 simple and sweet back to school crafts. From cute felt pencil toppers, kid decorated pencil cases and cardboard box school houses to backpack charms and DIY notebooks there’s ooodles of inspiration here for back to school crafts and after school crafting. Back To School Journaling with Picklebums. Love it!